​The 1,000 Dreams Fund is a non-profit organization that grants scholarships to a thousand girls every year. 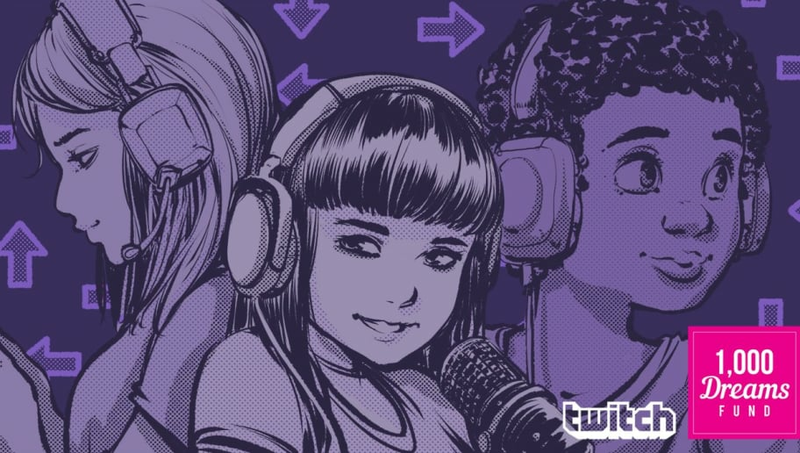 Now, the fund is set to provide scholarships to female Twitch broadcasters. Instead of going towards schooling, these grants will go towards travel expenses to conventions, hardware upgrades, and instructional programs. In order to be eligible, a broadcaster must be a female partner or affiliate of Twitch. ​​The program is called Streams for Dreams, and will launch in March for International Women's Day. The CEO of the 1,000 Dreams Fund, Christ Garton, stated, "As an organization committed to all dreams, we are excited to partner with members of the Twitch community on this amazing new campaign. The initiative will not only raise critical funds, but will also boost awareness around the shortage of support for these creative young women in the digital broadcasting space." The deadline for Spring applicants ends on May 1. If you, or anyone you know, qualifies for the grant, be sure to check out the opportunity 1,000 Dreams is providing, and let your friends know!